These two very big semi-detached dwellings, visually seeming to be one house, are completely different from any other buildings in the village except the church, for which there is a good reason: they were was built by William Spencer Dove in the early 1860s, and he was the contractor who rebuilt the parish church. Between 1857 and 1864 St Mary’s Church was almost completely rebuilt and Dove Brothers were the building contractors. William Spencer Dove started out as a jobbing builder in London, but then he and his sons formed the Dove Bros. partnership. Between 1858 and 1900 the firm built 130 churches, and from the 1870s it diversified into civil engineering contracts, remaining active until 1970. 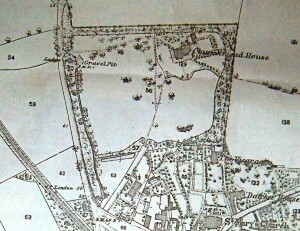 During the time Dove Brothers were working in Datchet, William Spencer Dove acquired a plot of land in the village on which he intended to build a crescent of villas. In 1863 his wife died and the plans were abandoned so that by William’s death in 1869 only one pair of villas, Ormonde and Mordenholt, had been built. 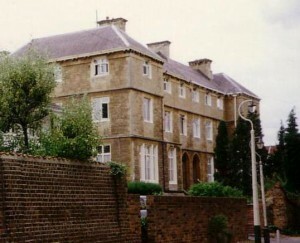 William and his wife had originally lived in Sunbury, which accounts for the first name of this building: Sunbury House. Mordenholt Cottage, tucked into an angle at the back of the house, may originally have been stables or a coachman’s lodge. It seems that both houses were converted into flats after the second world war, as were so many other big houses at that time. Henry Lawrence Prior owned Ormonde and several other properties along the north side of the Green, including Old Priory, the Bank and Bank House. From 1907 to 1920 the house was leased to William and Ida Mary Temple who moved to The Lawn in Horton Road by 1922. Members of H.L. 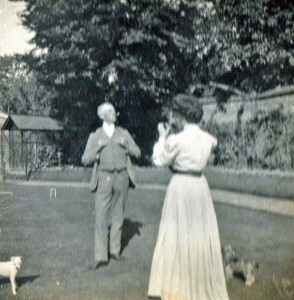 Prior’s family lived at Ormonde to the 1940s. Census and directory information is much less complete for Mordenholt. Mordenholt Cottage has been a separate dwelling house for many years, but in 1933 the deeds (in private hands) describe this separate building as ‘Billiard Room’ belonging to Mordenholt itself. 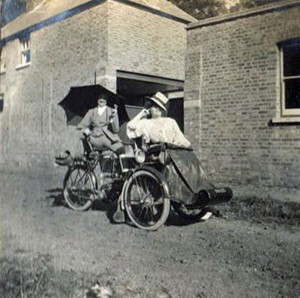 It was very fashionable in the early 20th century for billiard rooms to be added as extensions to large houses, but its here its origin is likely to have been as stables or the coachman’s lodge. 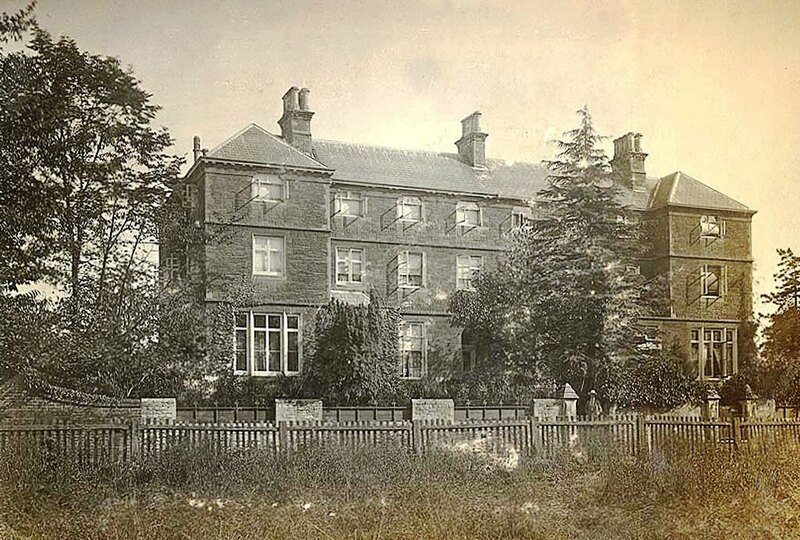 After William Dove’s brief residence a Revd Drake occupied both houses in 1866, followed by John Manley, clergyman and schoolmaster, suggesting it may have been a boys’ private school. By 1881 there were ten scholars and seven servants living at John Foley’s seminary or religious boarding school for boys, probably using both houses. From the start there seems to have been a subsidiary cottage, probably the present Mordenholt Cottage, and the tradition that it had been a chapel may have arisen from the main houses being occupied as a religious institution. Further back, the 1861 census lists the two new houses ‘in building’ and also previous dwellings on the sites which were still inhabited; one of them by Dove with his wife and daughter while the rebuilding of the church, as well as his own house, was carried on nearby, and another by a bricklayer. The 1839 rating survey shows that the site had originally been Anderson’s homestead, ie a farmhouse and yard. 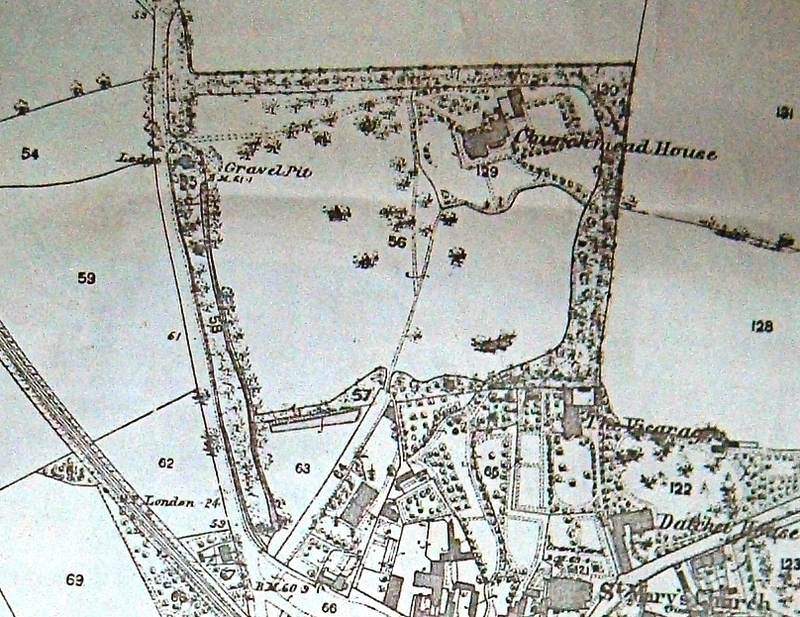 William Dove bought the huge plot of land (in which Churchmead School now stands) and built a new road, now Priory Way, to provide access for the first pair of villa residences which were intended to form a crescent. After Dove’s plans were abandoned, Mr Good bought most of the land and built Churchmead House in the main part of the plot, with its entrance and lodge on Slough Road. At one time there was an intention of making a crescent of houses, commenced by the erection of those two lately occupied by Mr Foley, to come out where Mr Good’s lodge gate now is.